Greetings from the thirteenth floor. I am going to devote this article to our Fire Fighters Association of Missouri president and retiring Little Dixie Fire Chief, Kenny Hoover. Greetings from the thirteenth floor. Judy and I want to wish one and all a, “Happy New Year.” Our prayers are that everyone stays healthy and happy. We also want to express our gratitude and appreciation for supporting us and the Division of Fire Safety! Each day we pray for your safe keeping and very much appreciate your devotion and daily commitment to serve and protect each and everyone who lives or enters into our great State. Thank you to each firefighter or EMS responder who works 24 or 48 hour shifts along with the volunteer who responds to calls at all hours of the day and night, leaving work, your families at restaurants, ballgames, church, a warm bed, to name a few. I say this a lot wherever I go and when I can… It may be me or Judy who you pull up on needing your help and I expect you to be the, “Best boots on the ground, and leave us better than you found us.” Keep up the good work! Things here in Jefferson City will become busy with the 34 members of the Senate and 163 members of the House of Representatives returning for the 100th General Assembly. We are looking forward to welcoming the newly elected members who represent you, to Jefferson City. 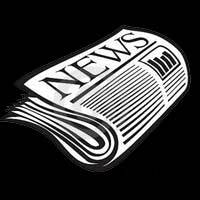 If you have a legislator you would like for us to meet feel free to reach out to me and I would be glad to meet them. Getting to know your local, state and federal elected officials is very important. It means a great deal if they have someone in their area they could reach out to if a question dealing with emergency first responder issue comes up. Please build that relationship and invite them to your fire house. They truly appreciate those interactions! We closed out the year with one of the highest fire fatality numbers in recent memory. The total number is not available at the present, but our fire investigators have worked over 70 investigations involving fatalities. 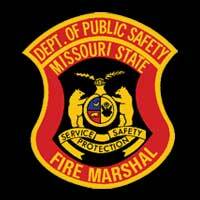 We will be looking at each of these and analyzing them to see what we as the Missouri fire service could be doing to help prevent these from happening in our communities. One is too many! Greetings from the thirteenth floor, I just can’t believe it is November! I look out my office window here and see the beauty God has painted for us, and I’m amazed! I begin with the sad news of the passing of Firefighter Russell Hayes from the El Dorado Springs Fire Department. Russ had been a volunteer with the department for 32 years. In speaking with Chief Bob Floyd, Russ was a very active member of the department. He was dependable, devoted, caring, and the list could go on and on. He will be missed by the community and the department. Let’s keep his wife Susan, and his two step-sons in our prayers in the days and weeks to come. 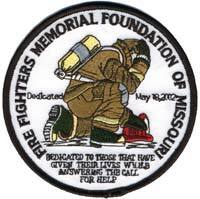 Bless you Firefighter Hayes for your service to your community and the State of Missouri’s fire service. I would like to take the time and expose everyone to a very important form which every firefighter in our state needs to print off and have on file with your agency. Please, please, please, please take the time right now and print this www.firehero.org/wp-content/uploads/2014/06/BeneficiaryForm.pdf, fill it out and take it to your agency secretary or whomever keeps your personnel files and have them file it where it can be located if you are killed in the line of duty. It doesn’t matter if you are a career or volunteer fire fighter! All first responders, police, sheriff, and EMS personnel need to have this document filled out and on file with their agency. If you have any questions call me at 573-751-1742, please! Greetings from the thirteenth floor. I begin this article with great appreciation for everyone that came and worked at the State Fair Fire Department this year, along with those who have served previously. I have heard stories from retired Fire Chief Larry Pratt how the State Fair Fire Department began and how everyone pulled together, which created a successful fire department. The seed of volunteerism, commitment, dedication, sacrifice, and duty to serve was planted from past generations and flourishes into a top shelf team of true first responder professionals. 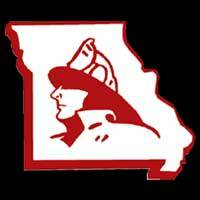 Thank you to the Fire Fighter Associations of Missouri for carrying the torch as an organization. I feel it has been a great investment of time and money for FFAM over the years, and for everyone involved. God bless each and every one of you! Greetings from the thirteenth floor! Having trouble with the fact that six months of this year has come and gone. What? Greetings from the thirteenth floor! Ever have a commercial that after you’ve seen or heard it, it just continues running over and over in your mind? Like, “Toyota lets go places,” or “Like a good neighbor State Farm is there.” Motel 6 has, “We’ll leave the light on for you,” or “Click it or Ticket it,” one my wife absolutely loves, is something about a house siding company, “Call Now,” not! Anyway you get my drift. 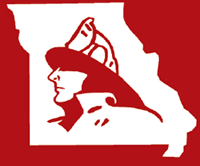 I want to introduce, or in some cases reintroduce, and I hope after my article, it will become the number one theme throughout every fire department within the State of Missouri! Greetings from the thirteenth floor! As I start this article the sun shines brightly across the blue skies silhouetting against the state capitol. We have had our share of gray skies, and cold weather! Bring on green grass, flowers, and seventy degree weather! Something new, a manned 24-7 fire and arson investigator contact number! 573-526-0134 is manned by MIAC. If you need one of our investigators for response to a fire scene, use this number please. Please note this is not for insurance companies, citizens, or general inquiries. I believe the groundhog just might have been right this time. Spring is just around the corner and I am sure all of us are ready for its arrival. It has been a busy winter with many activities we all attended. I know I am ready for the season to change and for the life to return to the trees and grass and for things to come alive again. Winter Fire School was a huge success thanks to MU FRTI’s hard work. Thank you for the commitment to educate our emergency service personnel. I did not make it to the expo this year but heard there was a very large crowd and it was a huge success.